Choosing the musical entertainment for your big day can be a fun and personal decision. The songs you choose will be an expression of both you and your significant other. 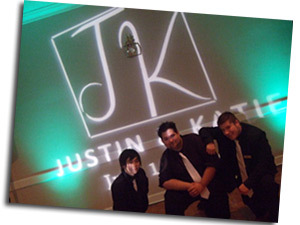 This entertainment will helps with setting the mood and tone of your wedding reception. It is perfectly fine for couples to take their time with interviewing multiple DJ companies. Remember this is the biggest night of your life, and the entertainment can make or break this whole experience. 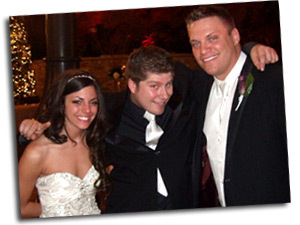 The question you may be asking yourself is how do I choose a Michigan wedding DJ? Read below for 7 helpful tips, that will have you dancing your way to ‘I Do’. 1. Get a list of wedding DJs that fit your budget and goals. 2. Ask around to see who your family and friends have chosen. Find out if their outcome was as anticipated. 3. Get referrals. You may even ask the DJ companies for both personal and professional references. The best in the biz work with other vendors on a regular basis. 4. Narrow the list of DJs down to your top 3 candidates. Then schedule one on one interviews. One on one interviews always give a better feel of the company. 5. Make sure you ask all questions. Don’t be afraid of any in-depth questions. For example, do they have the wedding music you want played? Can they set the mood with lighting design or photo booth rentals? Do they have other options, or just play music? 6. Now you can narrow your decision down to the #1 DJ company in Michigan and hire them. Make sure to go over all the contract details, paying close attention to fine print before the final signing is done. 7. Once your contract is signed and legit, a followup should be done periodically by the company to assure your wedding is going as planned. If any changes or requests need to be added, then makes sure you allow the company enough time to make accommodations. This doesn’t have to be a stressful situation, just allow yourself enough time to get all your ducks in a row.